A steady regimen of hot and cold is the standard prescription for easing away muscle pain and providing long-lasting relief. 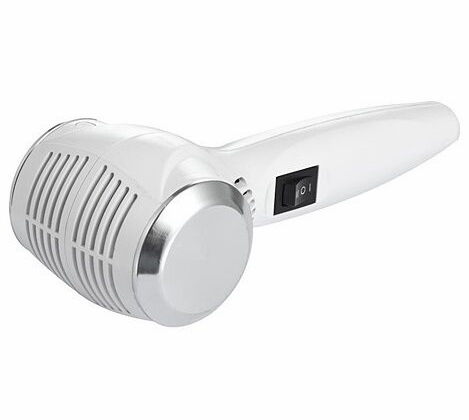 The Portable Hot and Cold Ice Hammer is designed specifically for facial use and can be used for relaxing muscles, opening pores and refreshing the skin. The unit provides a low level of heat that quickly soothes over-used facial muscles for immediate relaxation while simultaneously stimulating the pores and helping them open gently to release impurities. The device can then be switched to the cold head to help reduce wrinkles, seal pores and smooth the skin. 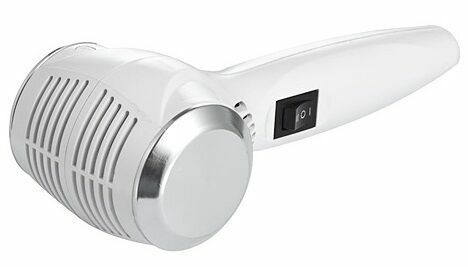 The Portable Hot and Cold Ice Hammer from MassageTools is easy to use and includes a long handle for greater control. The hammer comes with a power adapter that can be plugged into any standard electrical outlet. A simple power switch on the handle of the device activates the unit.